Our Wattblock Energy Reports won the SCA Innovation of Year for 2016. Wattblock can also deliver bulk pricing discounts on enLighten LED lights. enLighten recently won "Best Energy Efficiency Innovation" for their Chamaeleon III lights at the National Energy Efficiency Awards. Wattblock can also manage grants and rebates, and organise qualified electricians if needed. According to McKinsey, LED lighting is the number one 'no brainer' project that strata buildings can implement to save money and the environment. 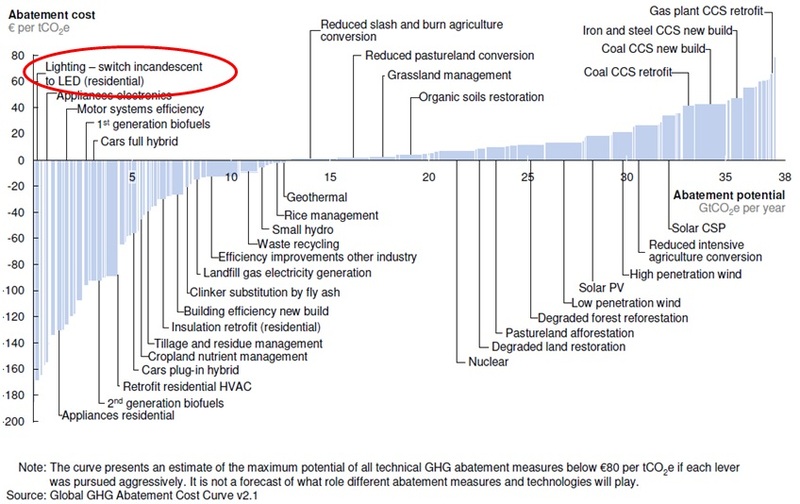 Payback on LED lighting projects is normally around 3 years making it unbeatable on financial returns. You don't need an energy audit, you can get started straight away on LED lighting. Strata managers should also be aware that NABERS energy efficiency ratings are coming to strata. If you have strata buildings on the books that havn't done LED lighting yet we recommend getting ahead of the curve. 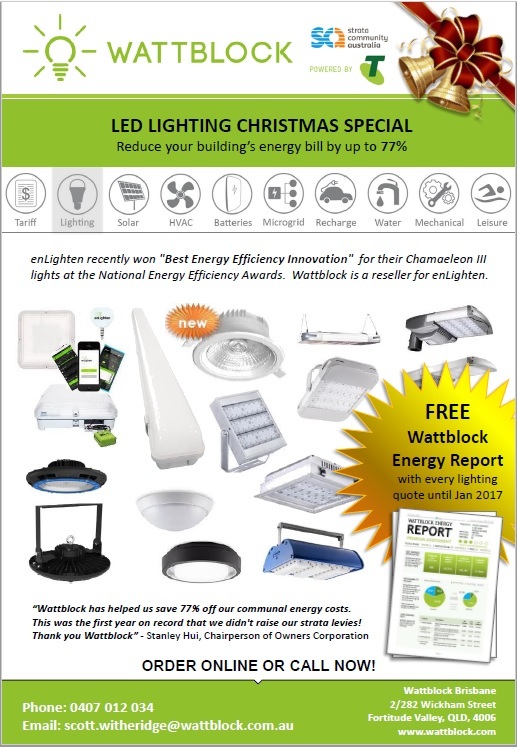 Now is a great time to investigate some award winning solutions from enLighten and Wattblock. You can browse enLighten products online here. Alternatively contact our sales representatives in NSW and Queensland. For further information, download our offer brochure here.